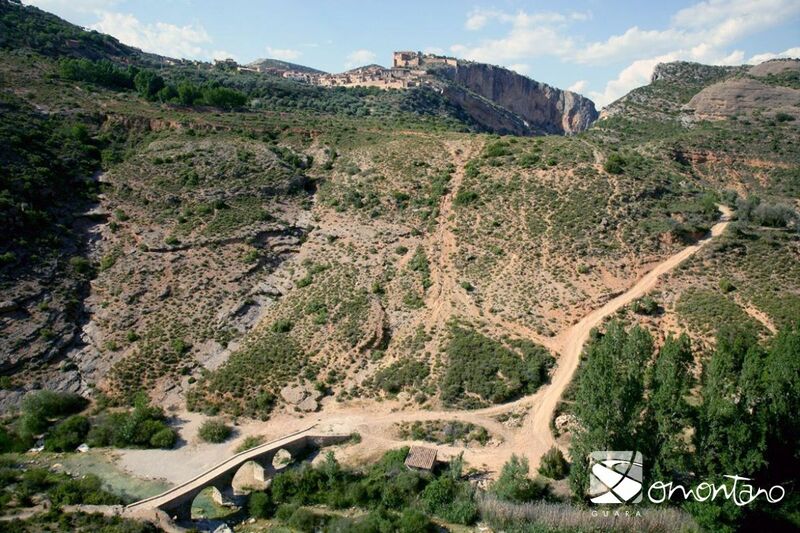 With its many rivers and a population scattered across small nucleuses, Somontano is criss-crossed with a multitude of paths, many of which cover dangerous and steep terrain. 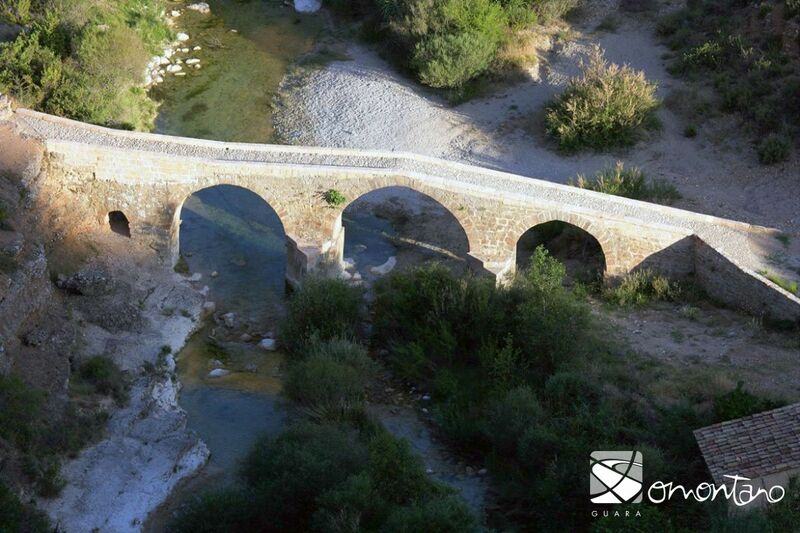 Although the rivers formed an obstacle to communication in the past, it was not common to build bridges from stone. It was much more usual to make wooden structures or, where possible, simply place a large trunk across the water. 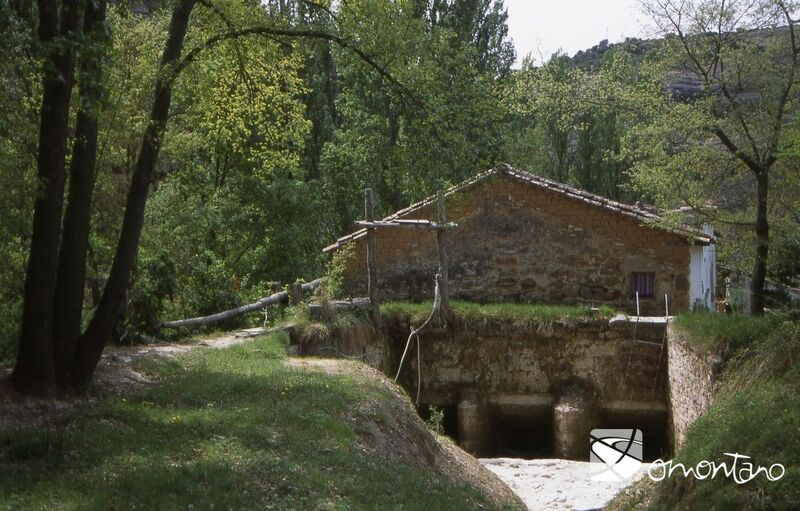 Stone bridges were a luxury that required great investment. Only kings or rich and powerful people could afford the construction expenses. In addition, it was also necessary to have master bridge builders present, specialists who where experienced in their trade. Because of all this, the construction of a bridge was only undertaken in rivers with a strong flow or in areas of great unevenness. 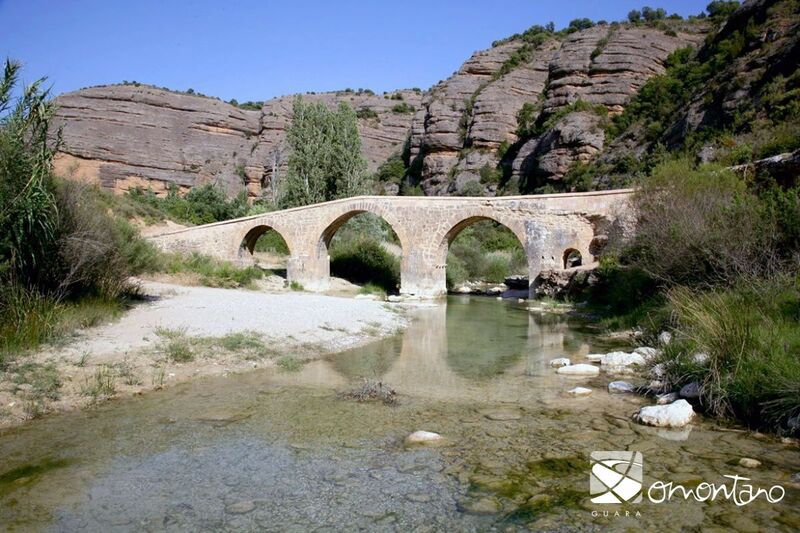 In the environs of Alquézar there were at least three bridges; Fuendebaños, Albarda and Villacantal, which highlights its importance as a vital crossroads. P. Madoz. Statistical Geographical Dictionary. 1846. 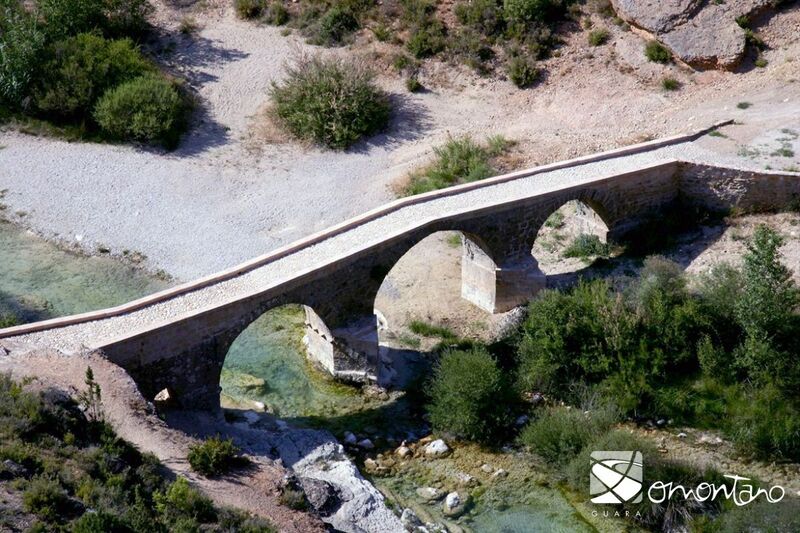 This bridge is also known as the Asque Bridge because the footpath on the left bank goes up river to Colungo and Naval. The presence of a bridge in this area is directly related to the nearby mill as access to it with horses laden down with cereals required some measure of safety when the river was swollen. The water of the River Vero can rise suddenly and uncontrollably. The bridge is made up of three semicircular arches with the central one being the largest. The arch to the left is actually the smallest and often acts as a spillway. It has two terraced breakwaters to minimise surges of water and its deck is pitched. Due to the constant repairs necessary over different eras, the marks of the wooden falsework used in construction can still been seen today.